In the process of soldering, there are many tools but none of them are more important than the soldering irons. If nothing else, you need at least an iron and some solder to finish the soldering. 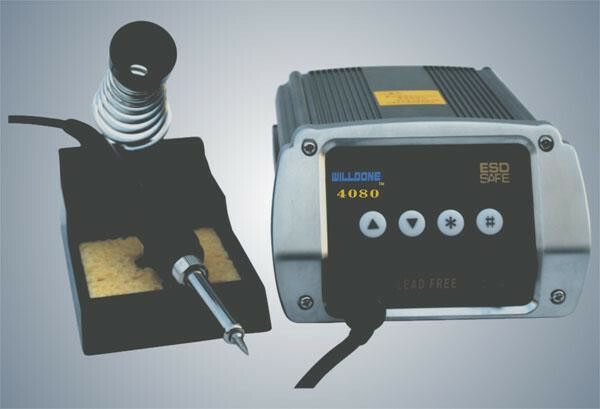 Soldering irons come in a variety of from factors and range from simple to complex, but they all function roughly the same. Here are some basic factors that make up a soldering iron. Soldering Tips - No soldering iron is complete without an iron tip. The tip is the part of the iron that heats up and allows solder to flow around the two components being connected. Actually, the tip transfers heat to raise the temperature of the metal components to the melting point of the solder with solder melting accordingly. Most irons are removable if users want to replace an old tip or if they need to change a different size of tip. Wand - The wand is the part to hold the tip, which is also the part that is handled by users. Wands are usually made of a variety of insulating materials (like rubber) to prevent the heat of the tip from transferring to the outside of the wand, but they also house wires and metal contacts that transfer heat from the base or outlet to the tip. Base - The base typically is comprised of a large transformer and several other control electronics that safely allows users to adjust temperatures. The wand attaches to the base and receives its heat from the electronics inside. Stand - The iron stand is what places the iron when it is not in use. The stand may seem trivial, but leaving an unattended iron laying around on your desk or workbench is a potential hazard: it could burn you, or, worse, it could burn your desk and start a fire. Besides, this helps users prevent the wearing of your tip over time.